You’ve probably heard of a serum, but for those still confused about what exactly the point is, here we go! We are ready to share all the details on this powerful little beauty secret. A serum has a lipid-soluble base that allows the active ingredients to penetrate deeply into the skin, instead of sitting on the surface. This makes it easier to repair and protect your skin from concerns such as ageing, hydration or hyperpigmentation. Serums can target specific layers of your skin that other products, such as moisturiser, simply can't reach. Each step of your beauty routine buids upon the step before. A serum should be used on a clean and dry face, so make sure to cleanse and tone before applying. All you need is a pea-sized drop of serum. Massage gently all over your face and neck. Let it dry and then apply your oil (if you use one) and finally your cream. Depending on the serum, you should be able to use it both day & night. 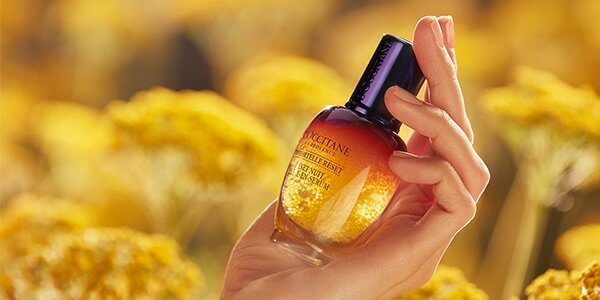 * The Fountain of Youth - first signs of ageing: use Immortelle Precious Serum to reduce the appearance of lines and wrinkles and to restore skin's firmness. * The “Guess My Age” - anti-ageing: use Immortelle Divine Serum and say hello to rejuvenated skin, improved elasticity and brighter complexion. * The Brightest of them All - brightening: use Reine Blanche Serum Serum for to visibly even out and brighten your skin tone over time. * The Unexpected Powerhouse - skin booster: use Overnight Reset Serum to wake-up every morning with glowing skin. -Acmella Oleacera extract: restores hydrolic film & acts like a natural botox. relaxes facial musle & smoothes fine lines. -Marjoram extract: revitalises & awakens skin genes. -Immortelle essential oil: relaxes facial musle & smoothes fine lines. 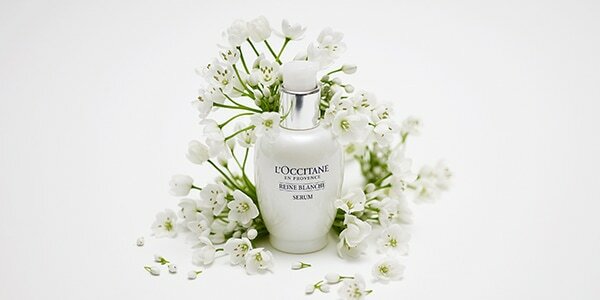 For more efficiency, use this serum before your face care products. 1. (Double) Cleanse and Tone: Try our Divine Foaming Cleansing Cream for a gentle cleans and then use Precious Essential Face Water. 2. Prep skin: Massage our Overnight Reset Serum into your skin for a moment of pure indulgence at night, and glowing skin in the morning. 3. Target skin’s needs: Use a serum, oil and/or face cream fitted to your skin type. Dry skin? Try our Shea Butter Light Comforting Cream. Fine lines? 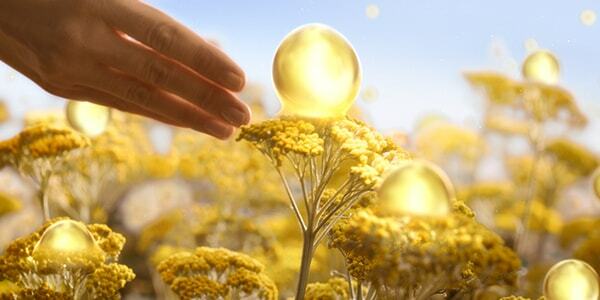 Discover the Immortelle Precious Night Cream.